The paper deals with the monitoring system condition analysis of infrasonic fluctuation in residential areas. The existing monitoring system of residential areas environment is mainly based on the chemical pollution level identification. The physical (power) pollution system control of residential areas has not been implemented yet. It is important to pay attention to the monitoring system organization of noise influence levels and infrasonic range noise in particular. The paper considers the main characteristics of infrasonic fluctuations and distinctive features of human exposure. The main sources of infrasonic fluctuations and methods of infrasound level decrease are characterized. The paper presents the main objectives for infrasonic fluctuations monitoring and the recommendations for reducing infrasound influence level on a human body. Keywords: residential areas monitoring, chemical pollution, physical pollution, infrasound characteristics, infrasound human exposure. Grinchenko V.T.Dejstvie nizkochastotnogo zvuka i vibracij na cheloveka [Effect of low frequency sound and vibration on human] // Akusticheskij simpozium «Konsonans-2007» [Processing of Acoustic Symposium «Consonance 2007»], Kiew, 25-27 September 2007. – Kiew, 2007. – P. 3-20. Sokol G.I.Opredelenie rezonansnyh chastot tel biologicheskih ob#ektov[Determination of resonance frequencies of bodies of biological objects] // 3-ja Mezhdunarodnaja molodezhnaja nauchno-prakticheskaja konferencija. «Chelovek i kosmos», posvjashhennaja 40-letiju pervogo poleta cheloveka v kosmos [3rd International Youth Scientific and Practical Conference. «Man and Space», dedicated to the 40th anniversary of the first manned space flight], 2002. 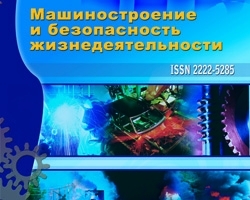 – P.27. Novogrudskiy E.E. Infrazvuk: vrag ili drug? [Infrasound: friend or foe?] / E.E. Novogrudskiy, A.I. Shulgin, A.A. Valiulin. – Moscow: Mashinostroenie, 1989. – 64 p.
Ashina M.V.Gigienicheskaja ocenka akusticheskih nagruzok ot avtotransporta i puti optimizacii shumovogo rezhima na primagistral’nyh selitebnyh territorijah krupnogo goroda [Hygienic evaluation of acoustic loads from vehicles and ways to optimize the noise mode on primagistralnyh residential areas of a large city] / Author. diss. candidate. med. sciences. – Nizhny Novgorod, 1997. Gamov M.I.Improved methods of assessment and prediction of noise pollution in mining areas the region based on studies of acoustic fields induced by road [Sovershenstvovanie metodiki ocenki i prognoza shumovogo zagrjaznenija territorij v gornopromyshlennom regione na osnove issledovanij akusticheskih polej, navedennyh avtotransportom] / Author. diss. candidate. tech. sciences. –Tula, 2009. Infrasound and vibrations monitoring system in residential areas, №1 (19) 2014, Solovjev L.P.